The 1st making decomochi(decolative sticy rice) class at my home!! 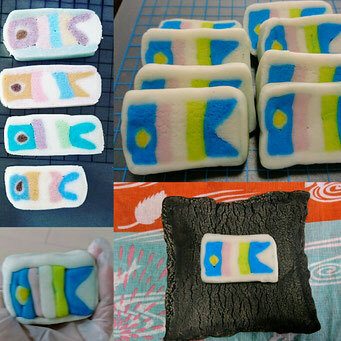 , on 5th May we celrbrate ``Children's Day'' with Koi nobori ``the carp-shaped flags``, we made the Koi nobori, we had fun alot ! !